Award-winning Derby based creative agency, Burnthebook has been chosen to design and build the new marketing website for Football Manager 2019, the best-selling computer simulation in the world (footballmanager.com). London based Sports Interactive (sigames.com) a subsidiary of SEGA and creators of the Football Manager series of games, have a world-wide following and the largest player database and scouting network in world football, taking fans to the heart of the beautiful game. The game creates a fully immersive experience for players and is so rich in detail, that you’re not just playing a football game, you’re levelling up your football knowledge, picking the wonder kids before they hit mainstream. Burnthebook were briefed to design and develop a pre-launch marketing landing page for the new Football Manager 2019 which went live on 6thAugust and the main marketing site is due to go live next month (September). 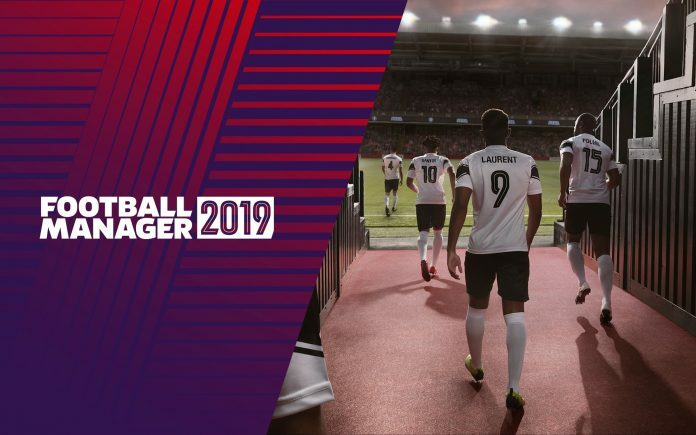 The pre-launch landing page gives fans a taste of what’s to come with the new game and kick-starts the marketing and promotion of the official launch of Football Manager 2019. Alan Granger, Marketing Manager at Sports Interactive said, “We approached Burnthebook because we knew of the quality of their work, but also their understanding of our target age group. “Our aim was to educate our fans on our product range and most importantly, convert their interest into sales. We felt very confident that Phil Newson and his team could creatively and technically deliver this vision. Phil Newson, MD at Burnthebook continued: “We completely understood the challenges Football Manager 2019 were facing and the importance of supporting not only the players, but also providing Sports Interactive with a marketing site that can help them to grow sales online. “Working with Alan, the Sports Interactive team and SEGA has been very positive. Apart from the fact that we are all football fans, we are also completely committed to collaborative working and merging as one team, which is exactly how we love to work. “We have always believed that the reason we have been successful for so long and have such a strong client retention rate is because, as a company, we are all about building client relationships, as well as delivering quantifiable return on investment. “We have been working very hard over the past couple of years to grow our business and open up new markets, the sports industry being one.